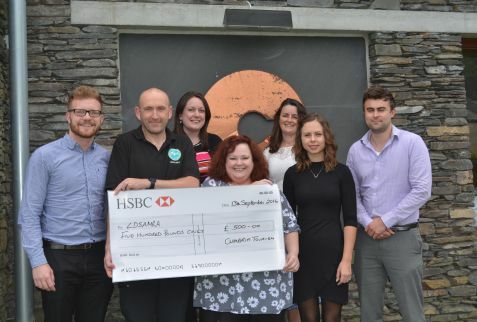 Cumbria Tourism has chosen Lake District Search and Mountain Rescue Association (LDSAMRA) as its designated charity, with funds generated through its ‘FairBooking’ initiative over the last year going direct to help mountain rescue teams in the county. FairBooking Cumbria, which is part of FairBookingUK, is an ethical booking initiative administered by Cumbria Tourism with the aim of promoting direct bookings to visitors. This helps promote a fairer deal for independent businesses and reduces their dependence on Online Travel Agents (OTAs) who charge high commission. Now FairBooking Cumbria has thrown its weight behind LDSAMRA with a £500 donation to help further support local communities. More than 150 accommodation providers, including guesthouses and B&Bs across the county, have signed up to FairBooking and each time a booking is made, Cumbria Tourism is offering part of its commission as a small charitable donation. The twelve member teams include: Cockermouth, Coniston, Duddon and Furness, Kendal, Keswick, Kirkby Stephen, Langdale Ambleside, Patterdale, Penrith and Wasdale MRTs plus Cumbria Ore Mines Rescue Unit and the Lake District Mountain Rescue Search Dogs.